Commissioning a portrait of a loved one, a beloved pet or a work that captures an important moment in your life couldn't be easier. I work from photographs, preferably taken by myself, for your convenience. This lets me get to know the subject and discuss the layout and media without having to waste your valuble time in many sittings. 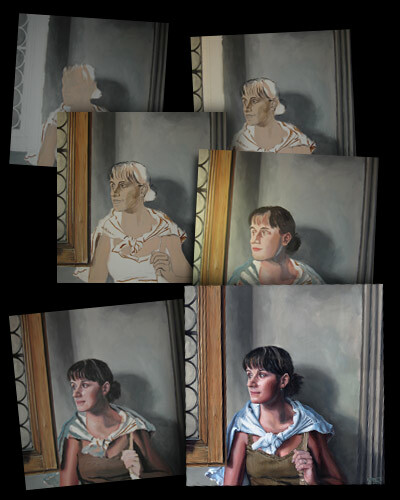 Alternatively, if you have a particularly beloved photograph, I can paint directly from your own picture which can be emailed to me or alternatively saved onto disc and posted. This also has the advantage that a portrait can be commissioned without the subject knowing if it is to be given as a gift. Also, a horse or dog portrait is a lovely way to remember a beloved pet, but why not make that portrait a bit more personal and have yourself in the picture with your them? Capture a specific moment or feeling. There are many artists who will paint pets and many who paint portraits, but only one offers to include both. For your own picture to be used it must be of sufficiently high quality. The better the detail, the better and more detailed the portrait can be. 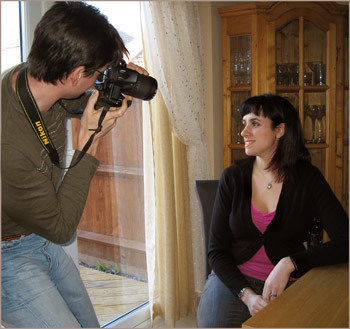 It is impossible to have one price list for all portraits as they vary in so many ways, primarily media, number of people and detail in background. However, below I have a number of my pictures with a rough guide price to give you an idea. Please call or email to discuss a work and for a no obligation quote . and refer to work UNFRAMED.